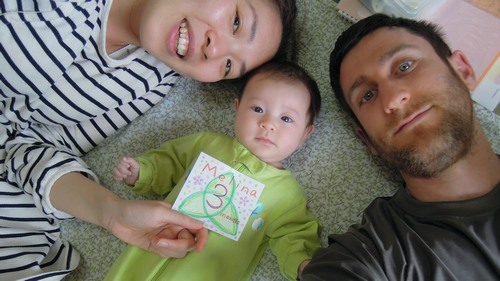 In Japan, one of the baby’s first big milestones is their 100th day. 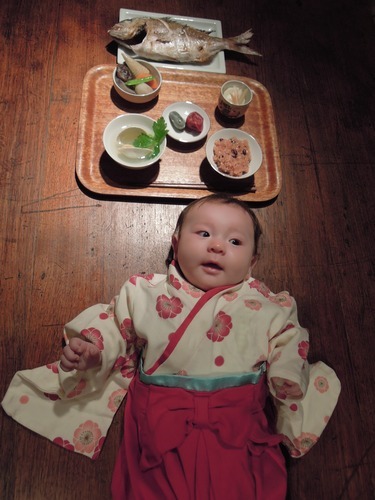 The baby is dressed up in a traditional outfit and made a gourmet meal. 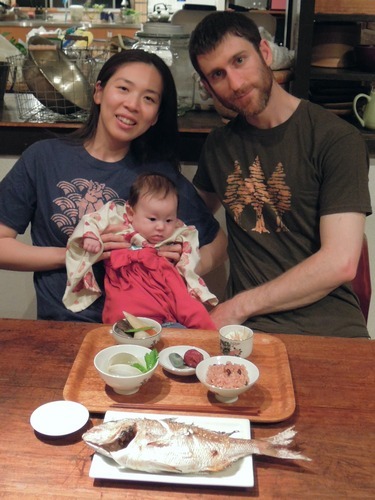 The parents then pretend to feed their baby, even though the baby still can not eat. The foods made have different meanings, but basically it is to signify that the baby should never have to worry about going hungry. 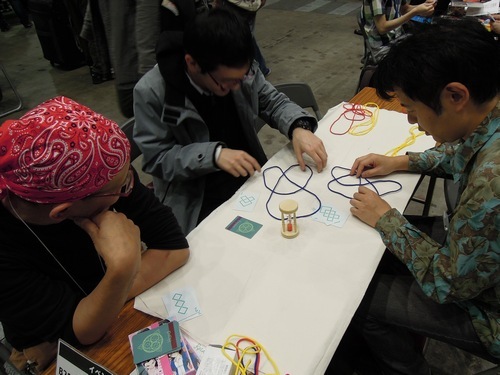 For example the rock and the umeboshi in the middle signify the babies teeth become as strong and hard as a rock, and the baby lives to be as old and wrinkly as an umeboshi. 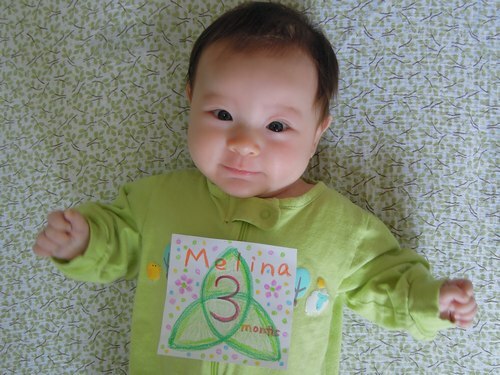 Melina is three months old! 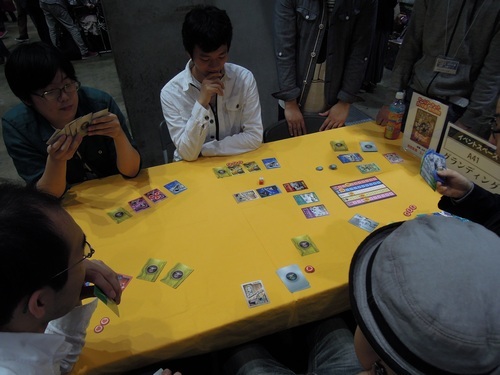 For the first time in Japan, I went to a Japanese board game show/market. 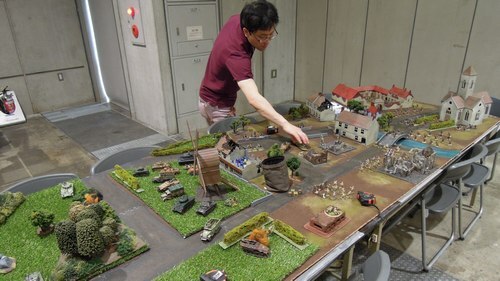 Ever since I found a bard game club close to where I live, and since I had a child that limits my movement, I have been playing a lot more board games. 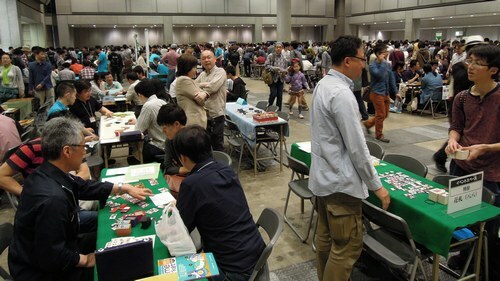 Every month I pay a new interesting game at the board game club, and since most of the members I play with were also mentioning the Japan Game Market, I thought I would go and see what it was like. 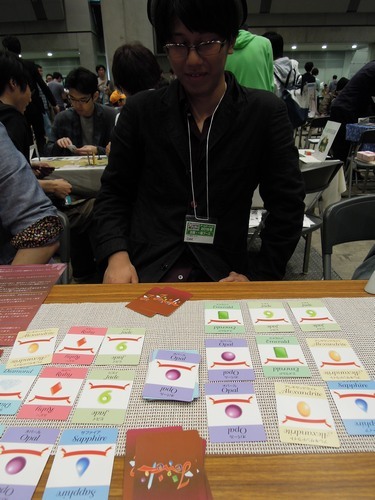 On the way there I ran into one of the members from said game club, and as we talked I realized I really dont know much about board games. 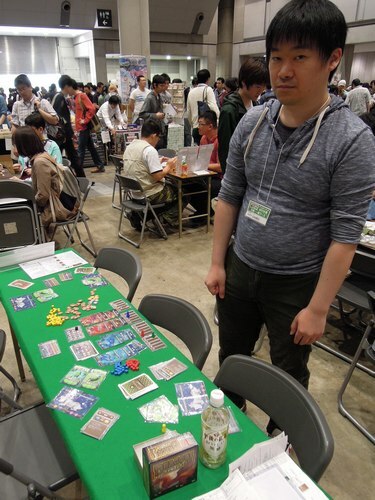 Anyway, the game market was very interesting with lots and lots of small developers selling their creations. 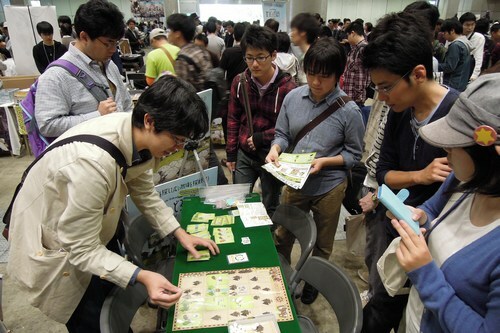 Each booth also had a play table where you could test play the games. 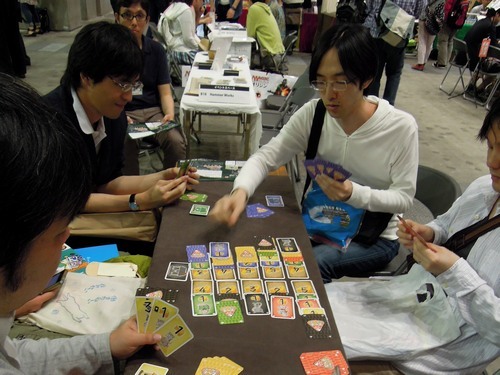 I went around and saw a huge variety of different games, although mostly all in Japanese, which is to be expected but not really a problem for me I was a little disappointed in the simplicity at a lot of the games, or the sheer complexity of others. 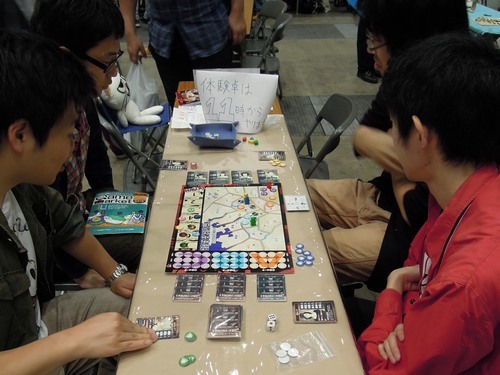 It seems that there were not too many good middle ground games, but again there were mostly only smaller developers as board gaming is still not a popular activity in Japan.